We are looking for secure, forever homes for our babies. We do not sell with Breeding rights, all pups must be spayed or neutered. NO Exceptions. We do not sell to brokers or petshops and we check references, our babies would not be happy in that environment, they have had close human contact and would not adjust to that type of life. For the protection of the puppy, we need a signed agreement, deposit and arrangements for final payment. See below! You are purchasing a Havanese (Seller)from____________________. The cost of the pup is $________ with a nonrefundable deposit to hold of $500.00 via Paypal or personal check with the signed buyer agreement. The remaining balance is due in cash or personal check 10 days before pick up. (Balance due is $ ) The purchaser pays the cost of the flight is $360 minimum (Delta Dash) and if hand carried there could be additional cost. Final payment is due 10 days prior to the pups delivery. The puppy selected will come to the purchaser with up to date Vet shot records, and when traveling a Veterinarian Health Certificate for your state. The buyer should have the pup checked by his or her own vet within 3 working days to ensure that the pup is normal and healthy. Upon oral confirmation of any major genetic problem from examining vet, the pup may returned to seller within (5) working days of notification, for a pup of equal value. The seller does not pay any medical expenses nor do we give cash refunds. Replacement is contingent on the pup being returned to the seller in the same condition it left the seller’s property, and with a written explanation by veterinarian of choice. Expense of returning the pup to the seller is the sole responsibility of the buyer. Replacement pup will be selected by the seller. Use flea preventive program and heartworm medication during the recommended season. Pup should be kept as parasite free as possible, look for Holistic methods. Puppies are small and need to have their fleas and heartworm meds. separated by 15 days. DO not use the combination drugs. Buyer must also provide a proper environment that is: food of high quality and quantity to keep the dog in optimum condition, clean water, adequate shelter and shade to protect from elements, with a fenced in yard or secure area or on a leash with a harness (collars can harm small puppies), not running loose. Electric fences do not protect your pup from other dogs/animals, use only when humans are present. The pup will be replaced if the pup should develop any problem with any MAJOR organs, which affect the quality of life of the pup within 1 year of the date of birth. Canine worms or parasites can occur and are treated easily, we do not guarantee against any NON-Genetic life threatening illness. No refund of medical fees are given. The seller must receive a written and signed vet documentation of the major genetic defect and proof of spay/neutering, or euthanasia. The seller reserves the right of a second opinion from another vet of their choice. A malnourished, obese, or abused condition will void the replacement of pup. Seller is not responsible of reimbursement of accumulated expenses, only for the replacement of this pup. The pup is being sold with limited registration and Females must be spayed near the age of 8 months and Males must be neutered near the age of 6 months. Proof of this procedure needs to be provided to the breeder. Males that are NOT neutered by 8-12 months can begin marking. 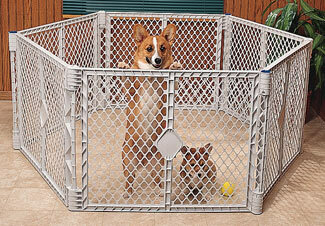 This is to protect our pups from Puppy mills and make them the best family pet. If for any reason the pup has been bred, all puppies are property of the seller’s and shall be handed over to the seller’s by the age of (9) weeks. On occasion pups are no longer able to be cared for in your home, the said pup must be returned to the seller for rehoming or the owner may rehome to a family approved by the seller. The papers cannot be transferred to another without the seller’s permission. (this is to protect they pup). 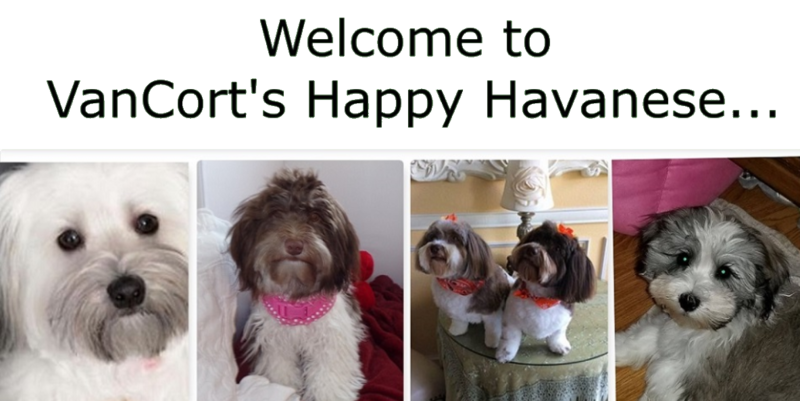 The purchaser is aware that the Havanese breed does carry a gene that may cause cataracts. The breeder cannot guarantee the pup will not contract cataracts.Irrevocable Agreement to Purchase-Valid after deposit received. This agreement is for the protection of the puppy. 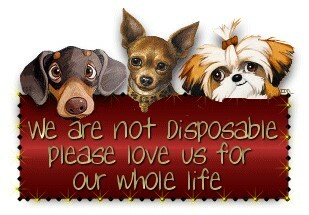 It helps insure they do not end up in Puppy Mills or shelters, that is also why we require a spay and neuter agreement. The deposit holds your puppy, and is refundable if you cancel in three days. We guarantee your pups health, for genetic defects that could take your pups life. If you have any issues please contact us. Due to the small size of the pups, they need special care. I use regular baby shampoo. If you have any allergies, our pups have hair rather than fur which is great for those with allergies, you could react from their shampoo, you may want to make sure the puppy’s shampoo is fragrance free. They usually are still receiving moistened food. I take their puppy food and moisten with water, just enough to make the kernels spongy. 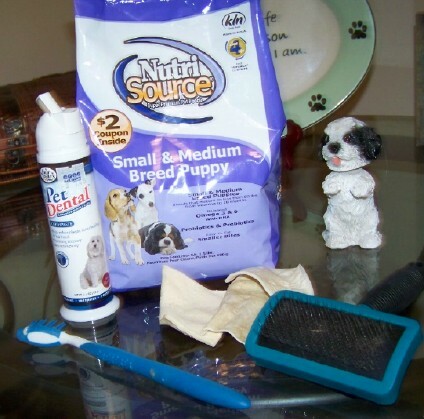 Nutri Source Small and Medium Breed puppy. Use chicken for pups, lamb can cause tummy upset. Feed your new baby and take outside immediately after. They need to potty upon waking and after eating and before bed. Always praise! They are so smart they learn quickly. Remember we are here to support you! A puppy class is fun and it teaches the family what commands to use etc. We are available for our families. Email is the best for me. I work during the day and can get back with you on my breaks etc. The phone on the site is Charley’s, we are with the dogs full time.